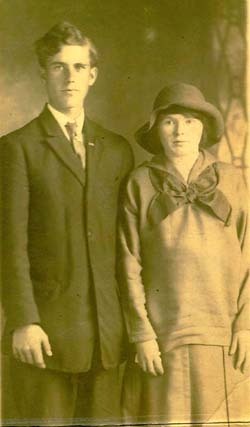 Marriage*: He married Vida Tate Faulkner, daughter of Thomas Pacely Faulkner and Artelia Jane Crawford, on 22 December 1923 at Durham, Durham Co., NC. Birth*: Samuel Wining was born circa 1837 at OH. Death*: Samuel Wining died on 11 December 1886 at IN . Birth*: Sally Winston was born before 1780 at VA.
[S383] Letter, unknown author to unknown recipient. [S1904] Unknown volume, Virginia Marriages 1660 - 1800, unknown repository. [S1455] Greensboro Daily News, 8 Nov 1942. Marriage*: She married Honasa "Asa" Faulkner, son of Dr. Archibald Faulkner and Rebecca Burkhalter, on 19 February 1827 at TN. [S34] Mona Forkner Paulas, The Forkner Clan Vol III, pg 170.